With a nationwide sale started last May 13, OPPO Philippines sold more than 22,000 units of OPPO F3 in just three days, setting a new sales record for the global brand in the country. 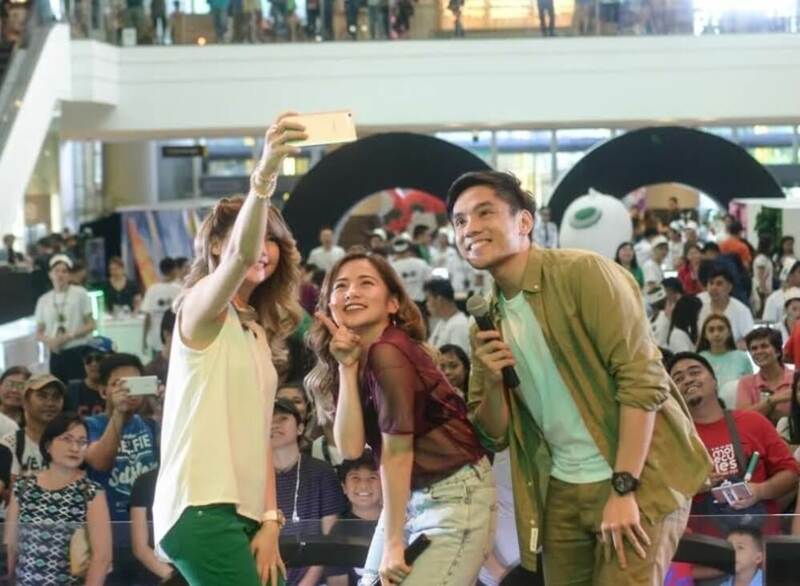 OPPO kicked-off the sale last weekend through F3 road shows held at Glorietta in Makati, and SM Ecoland in Davao. This sales and marketing initiative, together with the support of more than 5,000 authorized dealers and re sellers nationwide, helped OPPO to achieve the huge sales turnover, thus achieving the record-breaking F3 success. For uninitiated, the OPPO F3 is the latest "Group Selfie Expert", and a follow up on the first device to have such feature, its big brother, the F3 Plus. It sports two front facing cameras, a 16MP main gunner and an 8MP support shooter, and OPPO's Beautify 4.0 software, which gives users awesome selfies and ultra-wide groufies with nice blur effect known as bokeh. The handset comes with a 5.5-inch Full HD display, powered by an octa core processor coupled with 4GB of RAM and 64GB of expandable storage. It is also equipped with a much-improved fingerprint sensor for added security, and a 3200mAh battery for longer uptime. It comes in a classy metal design of two color options, namely gold and rose gold colors. It is now available across the archipelago for an asking price of Php16,990.